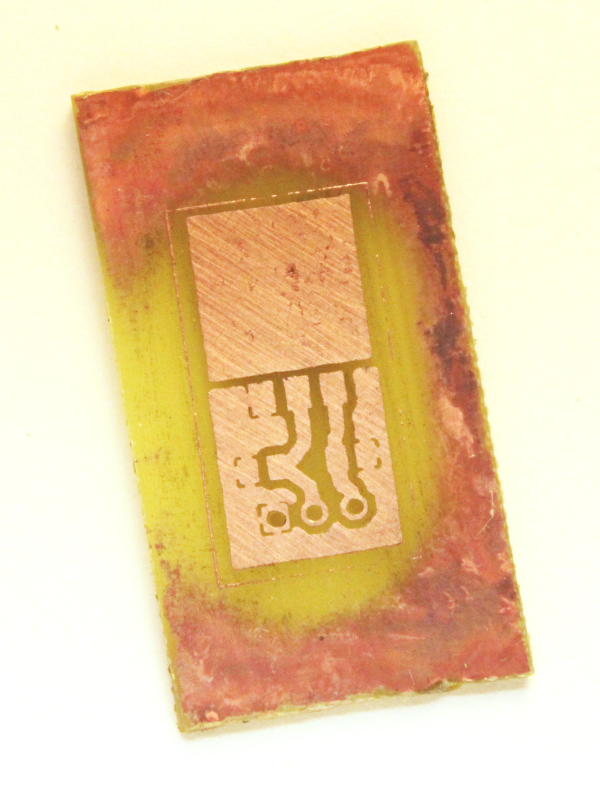 If you build your own through hole printed circuit boards (PCBs), and you don't have a CNC drill, then like me, you're probably sick of drilling holes. I was curious about using surface mount technology (SMT) components for upcoming PCB projects so I'm exploring a couple of avenues. 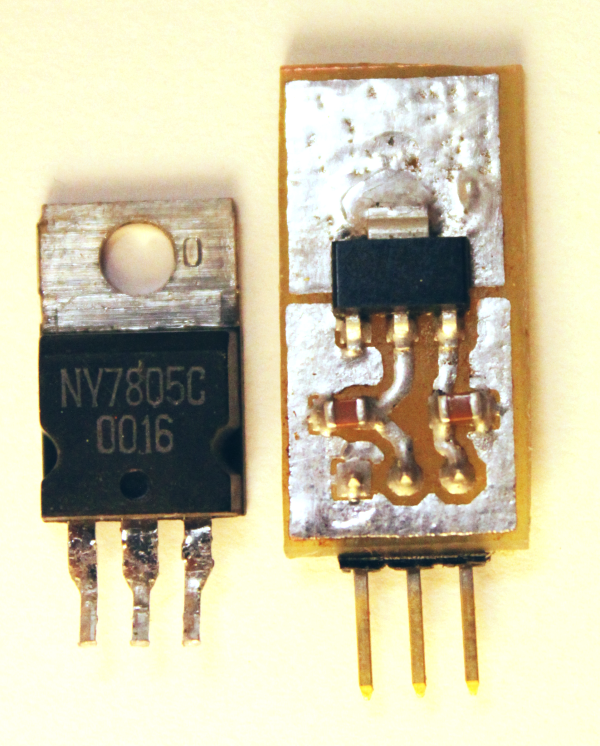 First up, is a DIY PCB of a simple circuit--a 3.3V regulator with built in filter capacitors. I'm using an On-Semi NCP1117 regulator (or equivalent) in an SOT-223 package with two 10uF capacitors (per the data sheet) in 0805 packages. I drafted the circuit and board in Eagle (download files here), put everything on the bottom layer, and printed the resulting board layout onto a magazine paper with black and white selected and no mirroring. I then transferred to the small PCB above applying a clothes iron set on Wool for 45 seconds with little pressure except for the weight of the iron. 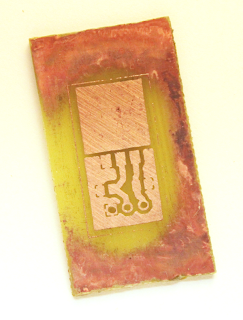 The PCB turned out pretty well using thermals and .032 traces between the pads. I used a separate pad for the heat sink tab of the regulator. Though capable of delivering 1A, with the small pad I'd best not run it too hard. Since I haven't yet built a reflow oven, I had to hand solder. Soldering the components was tough. It required tinning the pads and I used too much solder for that and need to switch to a much thinner diameter solder next time so that I can more easily control the amount of solder I put down. The soldering iron size was just right, using the smallest tip available for my WES51. Using flux paste to help stick the components in place worked out pretty well. Even so, I had to use a heat gun set to 850°F to reflow the solder and nudge a couple parts around. Aside from the fact that the end result is hideously ugly, the technique works ok for an ultra simple circuit like this. Something better is needed for prototyping circuits with a higher component count or with difficult components like tiny TSSOP or TQFP chips. And I hope to tell you more about that soon.